Our unique background and experience has created a holistic awareness of the talent assessment market that is unmatched by any other firm on the planet. For the past two decades we have worked on every angle related to the use of talent assessments. From serving clients who use assessments, to working with vendors on their market and product strategy, to breaking down the financials of the market-we have done it all. Our services offer those interested in making investments in the talent assessment space with a competitive advantage via analysis that is unavailable elsewhere. Vendor review, analysis and comparison: We can provide a review of an assessment company’s strengths and weaknesses and provide a sanitized comparison to your competition along with a SWOT analysis that can be used to guide strategy. Product review: We can give you the lowdown on your product, how it compares to others, and how likely it is to be successful. 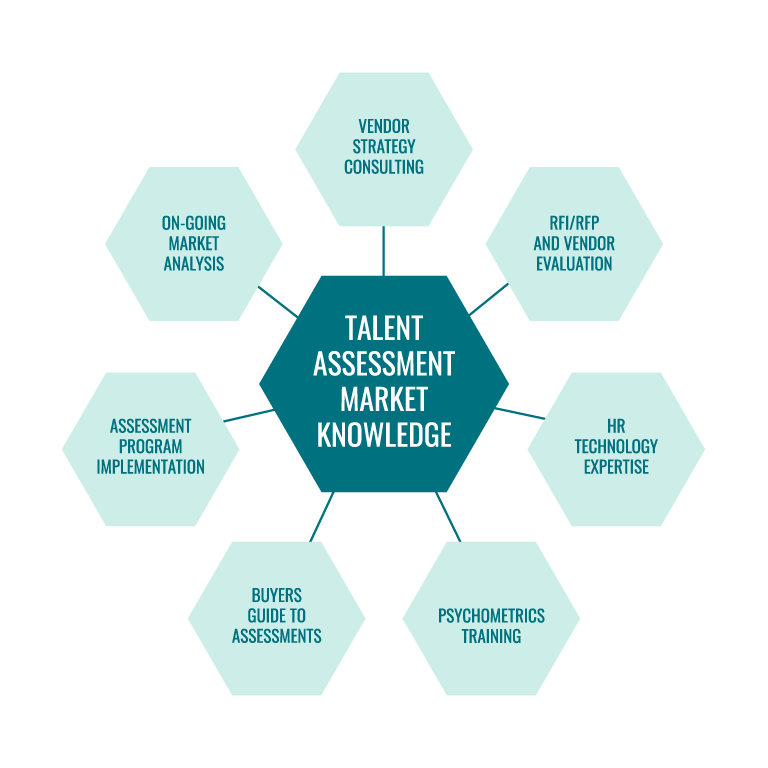 Market trend analysis: We maintain a fresh view on the talent assessment market and can identify the trends you need to know about. Market valuation: We can slice and dice the market to provide detailed valuation estimates that are both broad and focused on specific segments. Assistance with mergers & acquisitions and capital investment decisions: We have a long track record of conducting research and providing advice that is essential for successfully supporting investment decisions. Assistance with entry to the U.S. market: The U.S. market for talent assessment is brutal. We know the U.S. market better than anyone and can offer advice on the best strategy for entering the U.S. market. Confidentiality is assured- we have provided these services for almost two decades and have maintained a reputation for integrity that inspires confidence in our clients. It is standard procedure for us to sign confidentiality agreements and we sanitize the details to protect our clients’ confidential information. For a sample of our knowledge and analysis-download a copy of our 2014 market trends analysis briefing. We welcome the chance to work with you to determine how we can apply our expertise to help you with your needs. Contact us to discuss how you can leverage our unique perspective.